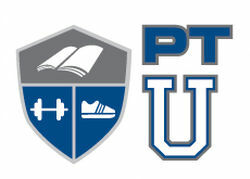 Around the Common would like to welcome Physical Therapy U as our newest Bridgewater Business Listing. Please remember to always support local businesses! Physical Therapy U (PTU) strives to provide exemplary physical therapy services to the greater Bridgewater area. They seek to be the PT practice of choice by encouraging patient involvement and understanding in the rehabilitation process in order to maximize recovery, prevent recurrence and improve overall quality of life. At Physical Therapy U, it is their mission to educate you on the reason you are in need of their services. Did you tear your rotator cuff? Want to know what the rotator cuff is, how long it will take to heal and how to prevent another injury like this? At PTU they want to help you! Helping you understand what happened and how to fix it can help facilitate recovery and avoid further injury! The therapy style at Physical Therapy U is based on the most recent clinical evidence. They combine manual hands on therapy with functional exercise and various modalities. Each treatment session is individualized to ensure you meet your goals! Physical Therapy U will be hosting an Open House on Saturday, May 14th from 5-7 PM at their business located conveniently at 985 Pleasant Street in Bridgewater. For more about the services Physical Therapy U has to offer, please visit their website by clicking here. Please be sure to also "Like" them on Facebook and follow them on Twitter.